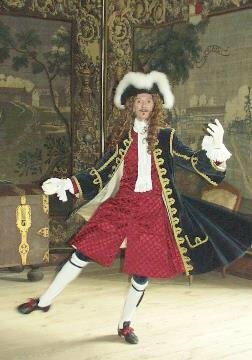 Longways dances were very much in fashion at the court of the mad king Christian VII of Denmark during the late eighteenth century. Dance books containing the court repertoire have by incredible luck survived all the fires of Copenhagen, and so we are able to dance the beautiful and exciting choreographies of the Danish dancing masters. We are going to try out some of the best, and in addition we will learn one or two lovely German cotillons from the same period. With our knowledgeable and highly skilled tutor, Jørgen, you are guaranteed an enjoyable and worthwhile experience. For full details, please see the leaflet and booking form (pdf).